CAM Raleigh considers itself a laboratory for new ideas both in the art and design we present and in the way we approach educational programming for our community. We offer a wide range of programs for visitors and participants of all ages. We hope to inspire our participants in new ways of thinking, seeing and making. Join us in an ever-changing experience that explores what’s now and nearing. 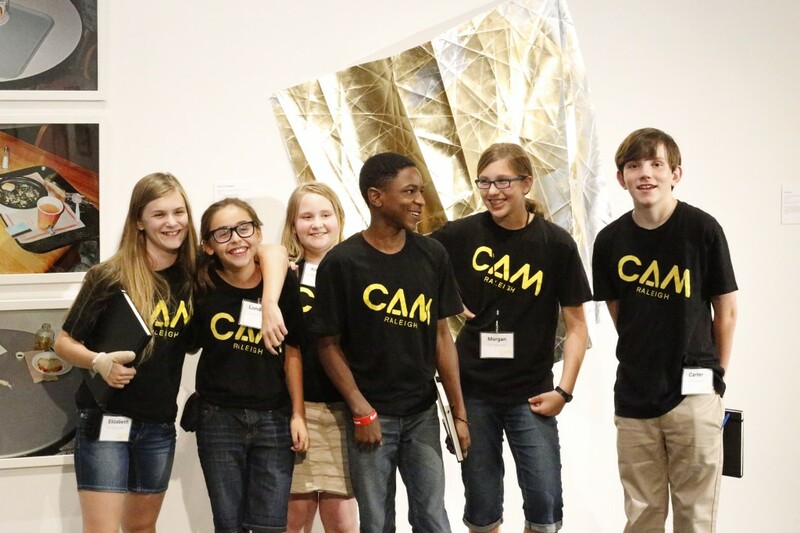 CAM’s educational and community programs are funded in part by the Goodnight Educational Foundation, The Grable Foundation, the William R. Kenan, Jr. Charitable Trust, IBM Community Grants, the Dreamville Foundation, SunTrust, Wells Fargo, and the United Arts Council of Raleigh and Wake County. Community CAMversations are funded by the PNC Foundation. The CAM to Go Outreach Initiative is funded by the Asha and Sajjin Argawal Foundation.